It is a good idea to leave a will before you die. 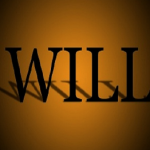 A will allows you to leave your properties to the people you choose, leave your children to the guardians you want, name a manager to a property you leave to your children, and lets you name the executor, who is responsible for carrying out your will. If you are not yet over 50 and does not have properties subject to estate taxes, then a basic will would be enough. If you acquire more property along the years, it would be best to set up more sophisticated planning for your will. Otherwise, a simple will is enough. If you leave more than just a small amount of asset or property, then it definitely will be in probate court, which will take six months to a year. But if you leave a small amount for your basic will, then you don’t have to be too concerned about probate. There are websites online that can help you set up a comprehensive and legal sounding will for not more that $50. To make sure you come up with the right one, it is always best to consult or hire a lawyer to set up a truly professional basic will.